The fifth edition of Touch Me Festival, subtitled > The Invisible Around Us < , is curated by Mónica Bello, Spanish residential curator at Swiss CERN and head of Arts at CERN programme. 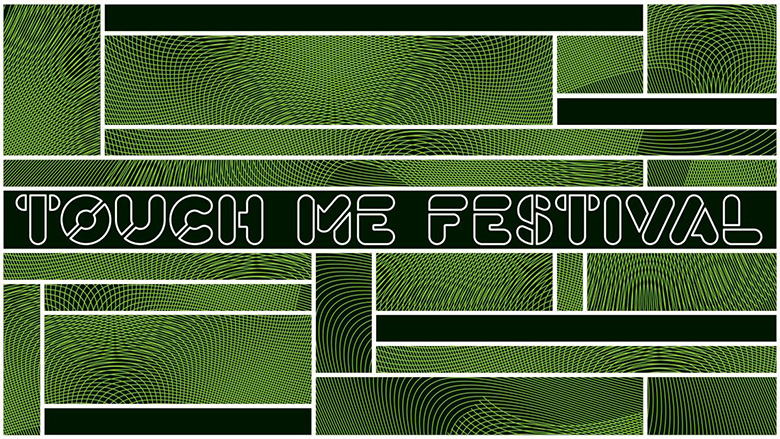 Touch Me Festival is an international triennial transdisciplinary artistic project dedicated to the progressive integration of contemporary art, science and technology. Innovative interferences of science, art and technology are the axis of the international Touch Me project that has taken place every three years since 2005, organised by KONTEJNER | bureau of contemporary art praxis from Zagreb. Past festival editions covered subjects such as intelligence, energy and information abuse, the notion of time and fourth dimension, the imperative of pleasure and hedonism, subjects through which some of the most recent new media art works from the local and international scene were presented. The fifth edition of Touch Me Festival, subtitled The Invisible Around Us, is curated by Mónica Bello, Spanish residential curator at Swiss CERN and head of Arts at CERN programme. The title implicates hidden events, emersions and phenomena that cannot reach us at any degree of perceptual significance. One of the most intriguing emersion is dark matter – a mysterious substance that constitutes most of the matter that exists in our universe. The Invisible Around Us approaches dark matter as a metaphor, a symbol of human boundaries and the limits of our perception, our knowledge and reality. How can hidden phenomena be explored through science and how through art, how can we imagine something that exists beyond our comprehension are just a few questions that we will try to answer through this project. Alfonso Borragán (ES), Filip Borelli (HR), Kerstin Ergenzinger (DE), Iva Ćurić (HR), Martin Howse (UK), Yunchul Kim (KR), Vanessa Lorenzo (ES/CH), Ale de la Puente (MX), Semiconductor (UK), Ana Sladetić & Nika Jurlin (HR) and MOON aka Martina Zelenika (HR) are the artists whose artworks will provide the visitors with new and unexpected experiences of the invisible and the unknown creating new sensory sensations. Touch Me Festival: The Invisible Around Us is an extension of the collaboration between KONTEJNER and Arts at CERN, art programme at one of the world’s leading scientific institution for particle physics. The international exhibition will take place from October 6th to 18th at Pogon Jedinstvo while the symposium will take place on October 7th at Zagreb’s Dance Center. Activities of the European Commission project – Creative Europe programme ‘’Future DiverCities – Creativity in an urban context’’ will take place alongside Touch Me Festival at Pogon Jedinstvo from October 9th to 13th.